Jeremy Goldkorn has been one of the most visible people behind the Chinese advertising and media-watching blog Danwei for the last several years. 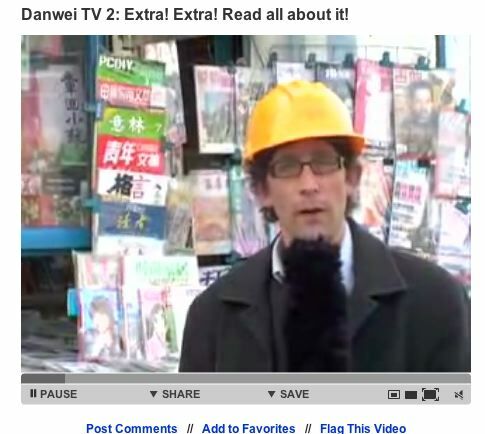 Check out his latest contribution to virtual China — “Danwei TV.” They’ve got two brilliant clips, one on the big buildings going up in Beijing in preparation for the 2008 Olympics; and one that introduces the print media on sale at the familiar kiosks that dot China’s cities. Short, good-enough production quality, great editing, and best of all, smart and well informed.